Join Visual Arts Brampton once again for Youth Vibe Night in Garden Square on Wednesday August 10 from 6-8pm. Youth Vibe Night's present free and fun activities for youth of all ages. Discover your inner humor and work alongside artist Colleen Dee, creating comic art panels in a 2 hour outdoor workshop. Participants will take home a completed comic strip! 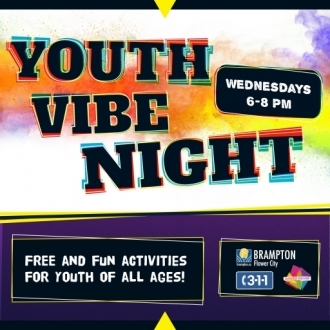 For more information about this event, and others happening during Youth Vibe Night, check out the City of Brampton website. Congratulations to all our 2016 Youth Achievement Award winners! Students from our Art FUNdamentals program were invited to submit their portfolios containing work they had completed throughout their year, as well as several specific assignments to demonstrate the techniques taught in class. The board of directors then sat down and judged the work based on how well the students executed perspective, representation, concept, tone/shading and overall effort put into the assignments. On Saturday June 25th, 2016 an awards ceremony was held where students were awarded with Gold, Silver or Bronze medals. 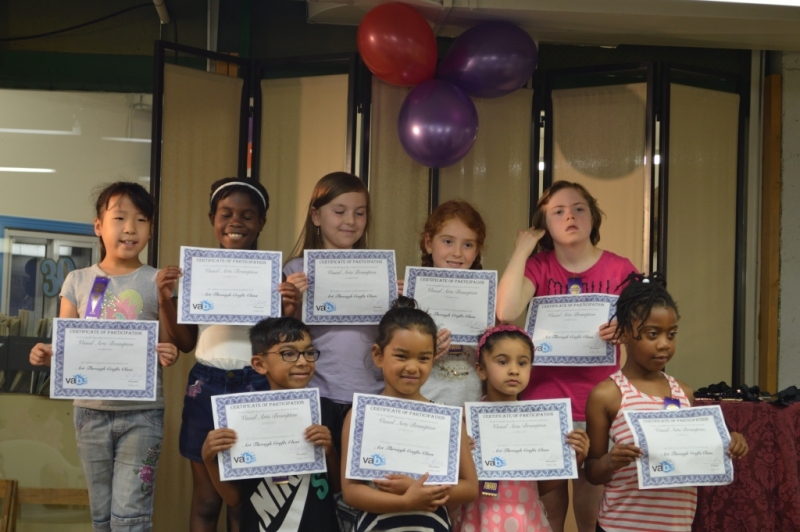 Our Art Through Crafts students were not left out, as they were awarded with certificates of achievement to celebrate all of their great work throughout the year. 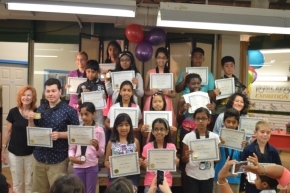 Once again, congratulations to all our 2016 Youth Achievement Award winners! 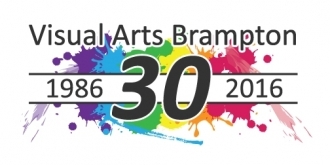 Visual Arts Brampton is celebrating its 30th anniversary of serving the community this year. We invite you to join us at the studio on Saturday June 25th at 1:00pm to kick off this year long celebration with a fun filled afternoon of free art activities, demos, cake, food, refreshments and raffles. Participants will have the opportunity try their hand at sculpture creation and linoleum block printing. Tickets will be available to purchase for a watercolour painting demonstration held by artist Zan Barrage, and one lucky winner will go home with an original piece of artwork. A separate raffle will also be held for passes to the CNE. We hope you will join us for this little taste of what Visual Arts Brampton has to offer! Do you have a passion for hand made crafts? Look no further than the Craftadian show where you will find a curated selection of artists that welcomes buyers to shop handmade. Craftadian's mission is to showcase, support and promote Canadian artists, artisans and designers. Look for Visual Arts Brampton at the Craftadian show where we will help get your creative juices flowing by offering demos and art activities. 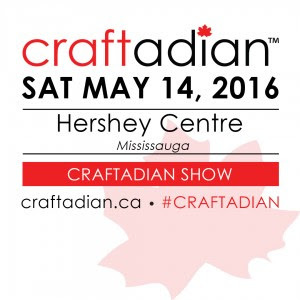 The show is being held on Saturday May 14, 2016 from 10:00am to 5:00pm at the Hershey Centre in Mississauga. For additional information, visit the Craftadian website.